COT for B2B: Charity On Top creates unique and custom gift cards for both business and consumers that can ONLY be 100% redeemed only for charitable giving. These tax-deductible cards, can be made with your company logo or photo of your choice and are ideal for vendor gifts, annual charitable giving, employee rewards, and workplace giving. 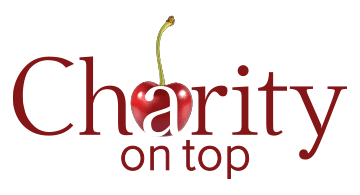 Charity On Top gift cards allow the employee or recipient to choose the 501c3 charity(ies) that they care about! Work with our team to create easy, meaningful gifts your recipients will appreciate, and say goodbye to holiday fruit cakes and standby candy boxes. COT for B2C: Charity On Top gift cards are also perfect for weddings, memorials, birthdays or any occasion where you see “No Gifts Please”, or for the person who already has everything. EASY! Gift cards start at just $10 and can be bought in denominations totaling any amount. Cards can be redeemed easily on our website at charityontop.com (we feature 1.8 million charities in good standing), or by giving the card directly to a nonprofit to redeem. EXPERIENCED: We have been dedicated to raising money for nonprofits for over 20 years in an ethical, transparent and fun way. Stop by our Charity On Top table at start-up row and see what we are cooking up for you. Buy a card, learn more and grab a sweet treat. Miss us at the show? Email us at inquire@charityontop.com for further information or visit us online to buy, sell or redeem cards at charityontop.com or find us on social media.